POS System Cash Registers Printers Scanners Pos Software Scales. Pos System RetailPOS Advantage full package with 12 month's software rental. Membership, Rewards, Offers, Specials, Vip Discounts, Happy hour, Vouchers! Customer Marketing, SMS/E-mail, Integrated Web Store, Owner SMS/E-mail Alerts! Change any sale type to any sale type (e.g. table sale to delivery sale) at any time (with automatic price adjustments, if necessary, based on the sale type and offers available). This is helpful when you are unclear at the start of the sale as to the customer actually wants. Electronic coffee card stores how many coffees the customer has had, and tells you how many to go before they get the free one. The system will sell the free one automatically when the time comes based on the cheapest coffee within that sale. 25 different offer types including Buy One Get One Free. Advanced product search (e.g. find products not linked to a printer or products that are scale items). Product qty countdown on selected products, with the qty remaining indicated on the product button on the screen. Generate in-house vouchers with unique Ids that can be purchased as gifts, and then redeemed once-only in-store. Different price levels for functions or events. Kits (packages) automatically sell a packaged kit or you can edit the content of the kit (package) at sale time. Example: A hamper consisting of 10 products that you sell, scan or with the press of one button sell the entire kit or display the contents of the kit for you to edit the contents. Recipe control/costing calculate the actual cost of making products E.g: Pizzas, Cocktails etc. Price embedded barcode support and configuration for Fruit & Veg and Service-Deli’s. Forced surcharge or discount on payment types (optional). Put a sale on account for a customer. Live stock control (you can check the stock levels at any time!). Transfer stock at any point of sale terminal. Scanning of barcodes, receipts (for quick refunds), lay-by receipts, and system-generated vouchers (for redemption). Stock wastage ability (the stock level is automatically adjusted). Built-in exporter to extract custom data from the database for marketing purposes. Easily put goods on lay-by. Modify a lay-by without having to pay it all off. Easily recall a lay-by by name, number, address, lay-by Id or simply scan the barcode on the customers lay-by receipt. Keep track of customer purchase history. Customer and store receipts with full payment history. Over 16 Reports just for Lay-by's / Accounts including outstanding lay-by reports. E-mail and SMS customers when lay-by payments are due. Put products on hold for customers. Create and recall quotes for customers. Lay-bys can be seen and payments made from any store if you have multiple stores. E-mail and SMS customers when goods have arrived back in stock or are ready for collection after modification or repair etc. Scan receipt and thepos system, point of sale software will find the sale and do a full or part refund, a refund can also become in store credit easily. Issue in-store Vouchers, Discounts, and Promotional Vouchers. Runs special offers and deals only available to loyalty customers. In-house barcode / shelf-talker label printing . Barcode scanning (in-house or external). On-screen product images and details (qty, price and description). 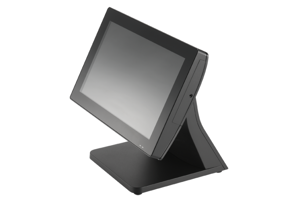 Retail Pos Advantage point of slae software's Customer Loyalty allows you to reward and market to your customers.